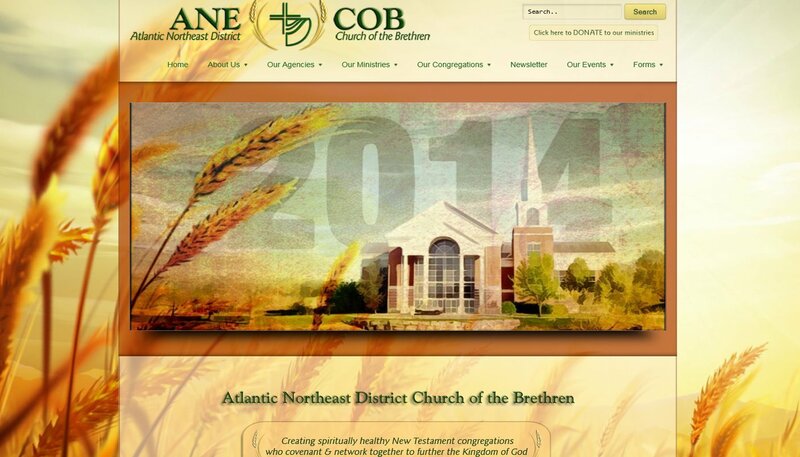 This is the website for the Atlantic Northeast District Church of the Brethren (ANE-COB). It was a challenge and a joy to design this site. This is a redesign of the district’s former website, which was actually a number of websites that had been cobbled together over the years. I learned as much as I could about the ministries of the ANE-COB and used that knowledge to create a new intuitive system to navigate the many pages of data. Once the site design was approved, I copied the existing information page by page into the new design. I then trained the ANE-COB staff to access and update the new system. Finally, I presented the site at the district’s Annual Conference. The entire process from initial contact to launch required many weeks of prayer, thought, and labor. The site launched successfully and has been in full time use since November of 2012. Because it is difficult to get everyone together for training, I created online tutorials for the staff to access at their convenience. I combined text, screen shots, photos, and full streaming video. 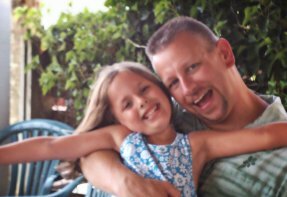 We add topics to the tutorial library as the need arises. The staff is still in the process of going through old data and weeding out pages that are no longer necessary or applicable. I will continue to work with them to add functionality to the site as needs present themselves. 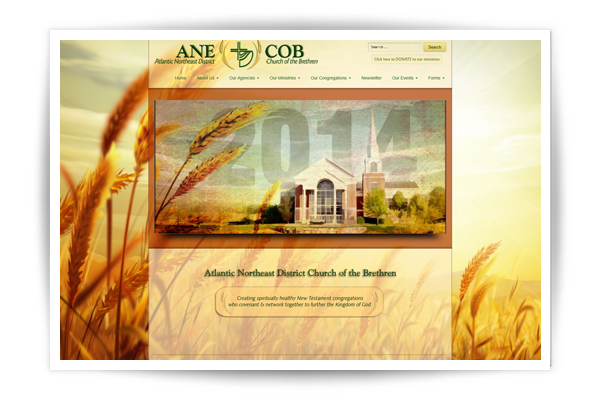 For the most part the ANE-COB staff maintains and updates the site. I am still involved with the site and its ongoing maintenance whenever the staff requires assistance. Most recently we have added a number of online forms to allow ministers in the district to file reports via the website. Everyone at the district office was very excited about the look and feel of the new site. The ANE-COB staff like being empowered to change or update the pages related to their ministries. The members of district conference, after years of having to hunt through the cumbersome old website applauded the sleek new design, the simple navigation, and the capability to search the entire site from any page. In the process of creating this site, I also created the district’s new logo.